Sean O’Boyle is one of Australia’s most experienced conductors, orchestral arrangers and composers. He is now a resident of New York. His enormous body of original works has, in almost every case, been recorded on the ABC’s recording label, the work invariably being specially commissioned by leading orchestras and festivals and, in most cases, has been premiered with the composer as conductor. He is a Fellow With Honours of the AUSTRALIAN SOCIETY OF COMPOSERS & MUSICOLOGISTS and was awarded a MEMBER OF THE ORDER OF AUSTRALIA in 2015. Sean O’Boyle’s major commissions, for film and television, have come from the ABC. For ABC Radio he was engaged to write the SYDNEY 2000 OLYMPIC GAMES themes which were also used for the 2002 MANCHESTER COMMONWEALTH GAMES broadcasts. He also wrote the CENTENARY OF FEDERATION theme. His ABC TV commissions include the six-part series, NEW EDEN the GARDENING DEAD EASY theme, the GARDENING AUSTRALIA theme and end-credits, RICHARD MORECROFT GOES WILD episodes,and contributions to AUSTRALIAN STORY’s episode, BLONDE AMBITION, SOMETHING IN THE AIR and PLAYSCHOOL. 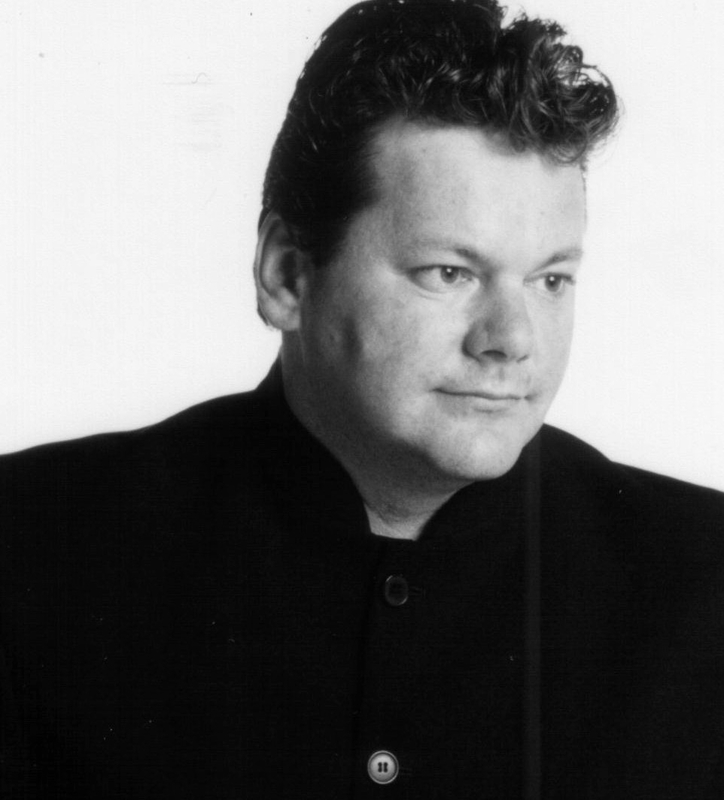 His music for OBELIA in 1993, recorded by the QUEENSLAND SYMPHONY ORCHESTRA was the winner of the 1995 SUNNIE AWARD for best film score and his music for the ABC’s NEW EDEN won BEST MUSIC FOR A TV SERIES OR SERIAL in the 2001 AUSTRALIAN GUILD OF SCREEN COMPOSERS’ AWARDS. For the QUEENSLAND SYMPHONY ORCHESTRA his commissions include a collection of music written for the orchestra’s educational and young audience programs, UILLEAN SUNRISE commissioned for the orchestra’s MASTER SERIES CONCERTS and SAKURA MATILDA, commissioned for the orchestra’s tour of Japan in 1997, CONCERTO FOR SHAKUHACHI & ORCHESTRA and SAKURA, both pieces premiered at the BRISBANE FESTIVAL and A-RI-RANG MATILDA for its performances in Seoul during 2000. The STATE ORCHESTRA OF VICTORIA recorded UILLEAN SUNRISE on ABC CLASSICS label in 1998. Sean O’Boyle’s RIVER SYMPHONY was commissioned by Brisbane’s RIVER FESTIVAL for its 1999 program with the QUEENSLAND PHILHARMONIC ORCHESTRA and SYMPHONY OF THE FLEET was commissioned by the QUEENSLAND BIENNIAL FESTIVAL OF MUSIC during 1999. During 2003 he was engaged by OPERA QUEENSLAND to compose the music for its latest opera for schools, THE SONG BIRD, the production of which has toured constantly since. His orchestrations have been commissioned for ABC CLASSICS’ YVONNE KENNY – A CHRISTMAS GIFT, recorded with the ADELAIDE SYMPHONY ORCHESTRA and JUDI CONNELLI & SUZANNE JOHNSTON – PERFECT STRANGERS with the TASMANIAN SYMPHONY ORCHESTRA which his work James Blundel’s CHORAL DREAMING CONCERT was part of the QUEENSLAND BIENNIAL OF MUSIC and his arrangements for the QUEENSLAND SYMPHONY ORCHESTRA POPS formed part of its program, SALUTE TO AMERICA. His work for GERSHWIN COUNTRY and John Williamson’s TRUE BLUE CLASSICS was commissioned by ABC COUNTRY and the ADELAIDE SYMPHONY ORCHESTRA and his orchestral arrangements were commissioned by this same orchestra and by the WESTERN AUSTRALIAN SYMPHONY ORCHESTRA and the TASMANIAN SYMPHONY ORCHESTRA for concerts with Kate Ceberano during 2005. During 2006 Sean O’Boyle composed the theme music for the ABC‘s FIFTY YEARS OF TELEVISION series. During 2008 he began a collaboration with the BERLIN PHILHARMONIC ORCHESTRA to compose and arrange music for young players and audiences and 2009 included an engagement to write full orchestral arrangements for a new show featuring James Morrison and singer, Adam Lopez, called LATIN FIESTA for performance by the WEST AUSTRALIAN SYMPHONY ORCHESTRA and the TASMANIAN SYMPHONY ORCHESTRA, performances which were repeated in Brisbane, during 2010, with the QUEENSLAND SYMPHONY ORCHESTRA. Also during 2010 he was engaged as Music Director on director, Gale Edwards’ first feature film, A HEARTBEAT AWAY, released internationally in 2011. Sean O’Boyle was Artist In Residence at MOROVIAN COLLEGE in Bethlehem, Pennsylvania during 2011 & 2012 and his latest commissions included a major work for the 2013 BRISBANE FESTIVAL premiered in concerts with the QUEENSLAND SYMPHONY ORCHESTRA, and his REQUIEM premiered by the GLEN RIDGE CHORAL SOCIETY in New Jersey. He was commissioned to write a new concerto for world renowned percussionist, Dame Evelyn Glennie, which premiered with the TACOMA SYMPHONY ORCHESTRA during 2014, THE NEWS TRIBUNE reviewer writing of this performance, Glennie moved through the work’s kaleidoscope of emotions like a dancer …visual and aural antiphony in O’Boyle’s well-crafted writing… textural depth… a showcase of percussion colours… emotional, brilliant and heartfelt. Current engagements include the orchestration and arrangement of the score, for ORANA PRODUCTIONS‘, world-premiere production of MIMMA in 2019.